The good people of Scotland gather every year on 30th November to celebrate St Andrew’s Day. 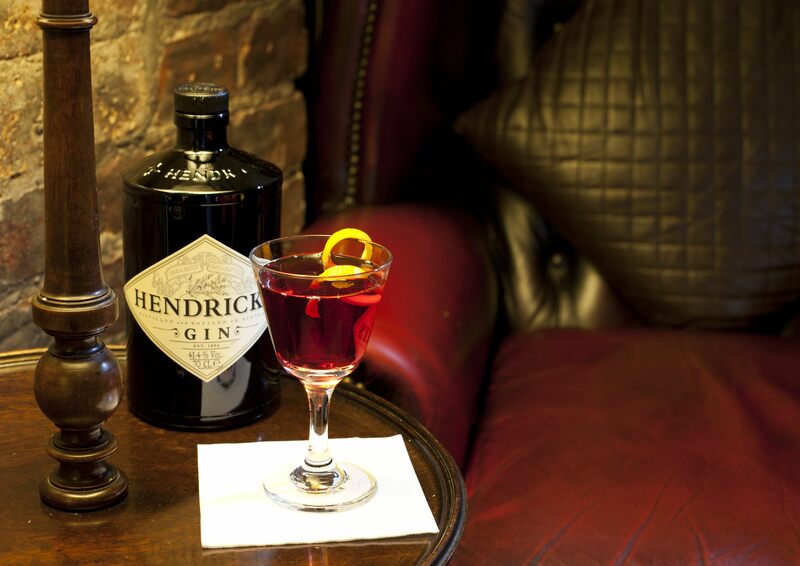 In celebration of this day, Hendrick’s Gin has concocted Andrew’s sloe juniper, a specially crafted cocktail ideal for paying homage to Scotland’s patron saint and all things Scottish. In parts of Europe , superstitious belief exists that the night before St. Andrew’s Day is specially suitable for magic that reveals a young woman’s future husband or that binds a future husband to her, certainly a reason for a Andrew’s sloe juniper to be made. It is widely known that St Andrew had a strong sense of curiosity. In homage to him, Hendrick’s inquisitive Andrew’s Sloe Juniper cocktail, is an unusual blend of Sloe gin combined with juniper infused Buckfast Tonic. The use of Regan’s Orange Bitters, further highlights one of the eleven botanicals found in Hendrick’s Gin – the bittersweet aroma of Juniper berries. Pour all ingredients into a mixing glass and stir over block ice until well chilled, well mixed and slightly diluted. Single Strain into glass. *NB Lightly press 24 juniper berries and steep in one bottle of Buckfast for three days. and then finally “Flip Horizontally.